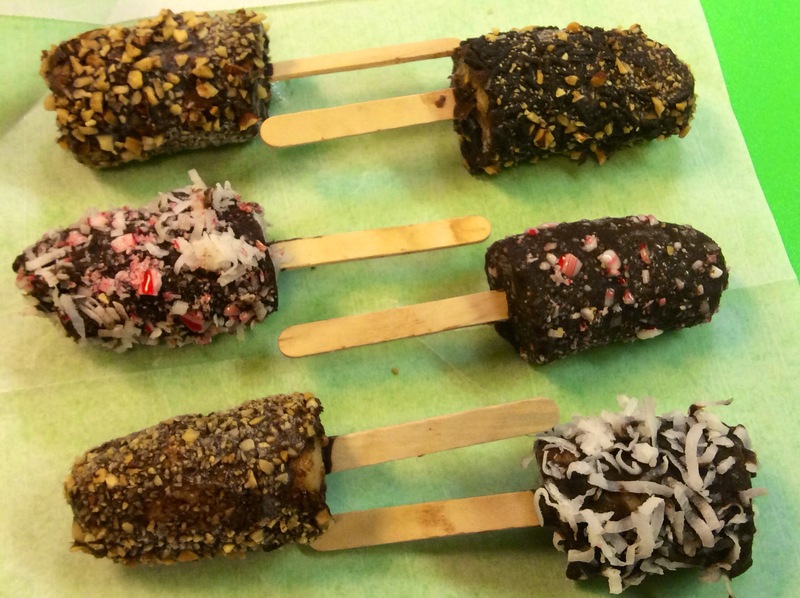 Have you ever read the ingredient list on your favorite childhood frozen treats? Why do they have to be filled with so many dyes, preservatives, "natural flavorings" and chemicals? 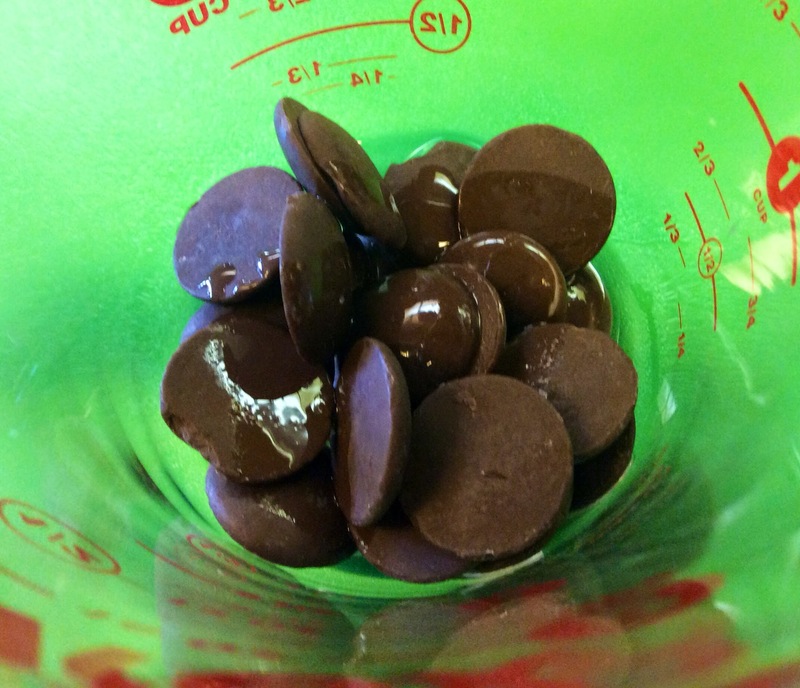 Here's a tasty, healthier solution that you're gonna love! 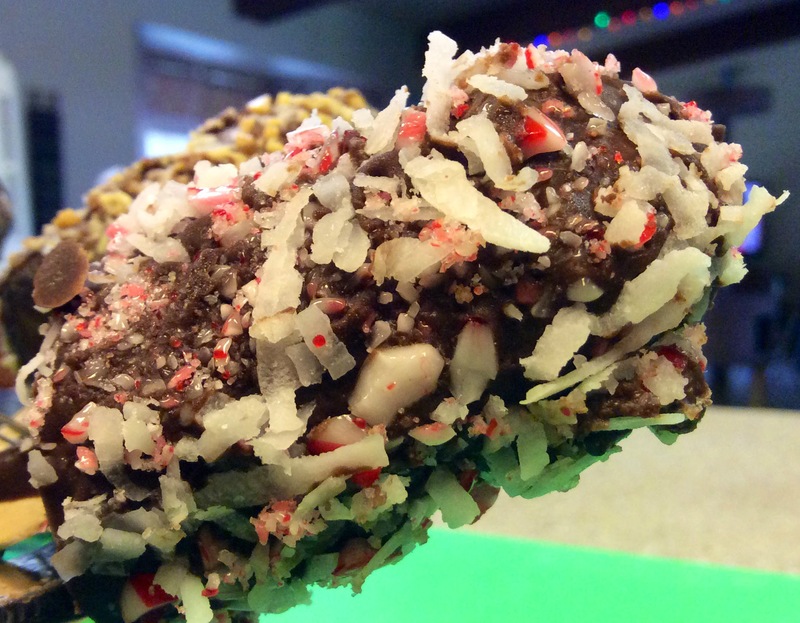 Chocolate Frozen Banana Treat topped with sweetened flaked coconut and crushed peppermint candy cane. 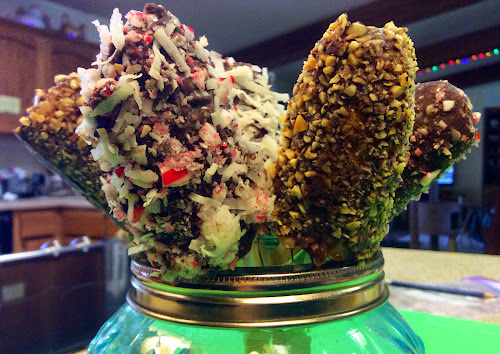 Optional toppings ~ Finely chopped salted nuts (almonds, sunflower seeds, pecans, peanuts) crushed candy cane, coconut, chocolate sprinkles, granola . . . You choose! Add chocolate and coconut oil to a microwaveable 2-cup glass measure. Cut each banana into 3 pieces and insert a wooden craft stick. 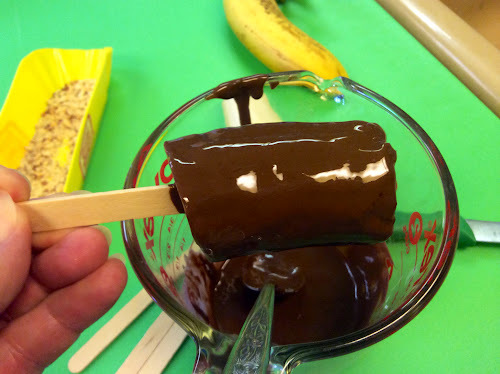 Spoon melted chocolate over banana to coat (I used a long tea spoon). Dip, roll or sprinkle chocolate covered banana with optional nuts, candies, coconut and granola. Place coated bananas on waxed paper, in freezer, on baking sheet to harden. Store in a covered container on waxed paper. A bouquet of Frozen Banana Treats! How simple were these to make? 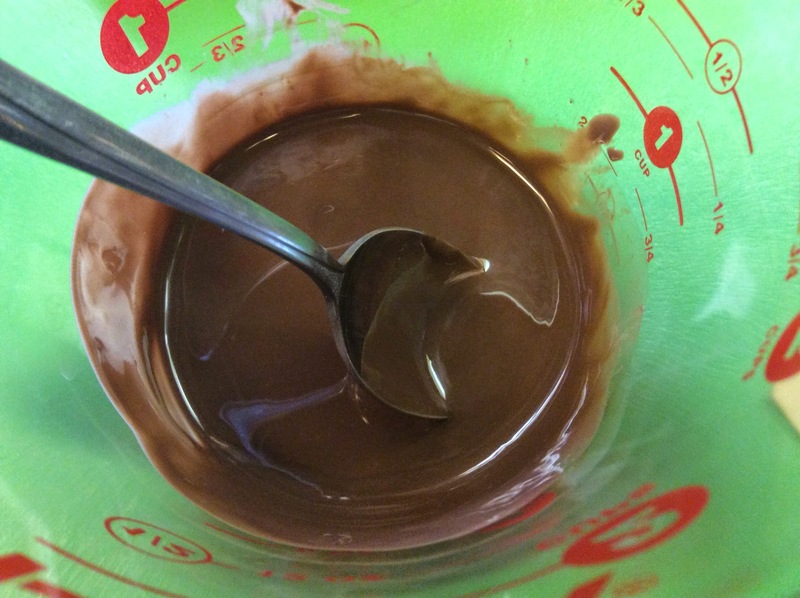 3 simple ingredients- chocolate, coconut oil and a banana! 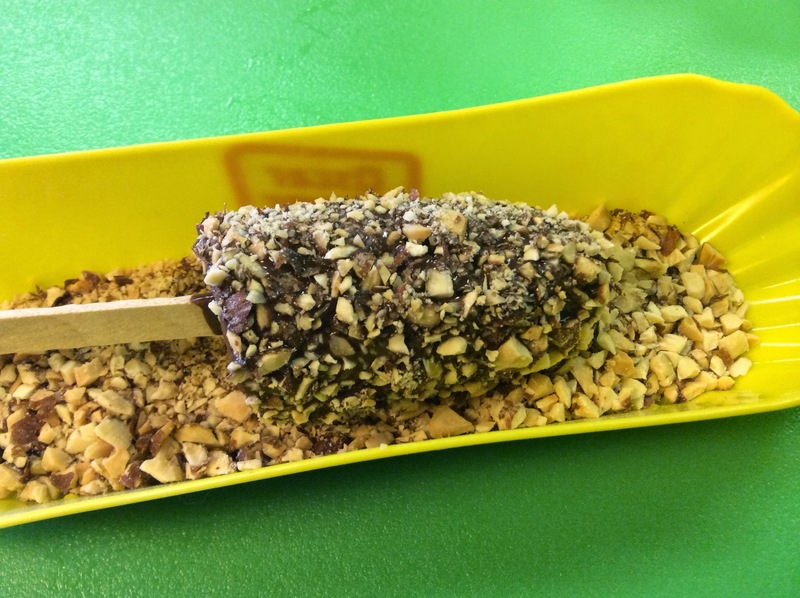 Add your choice of toppings . 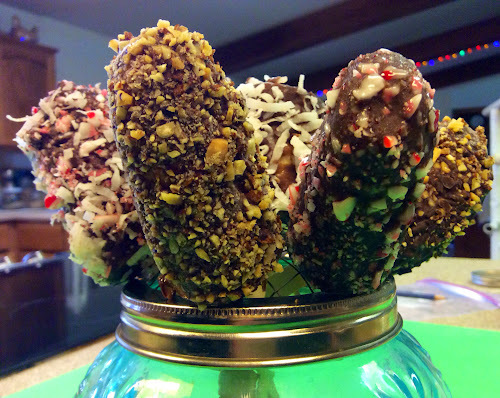 . . My first one, I rolled in salted almonds, the next salted almonds and chocolate sprinkles, next crushed candy cane, coconut and candy cane etc. 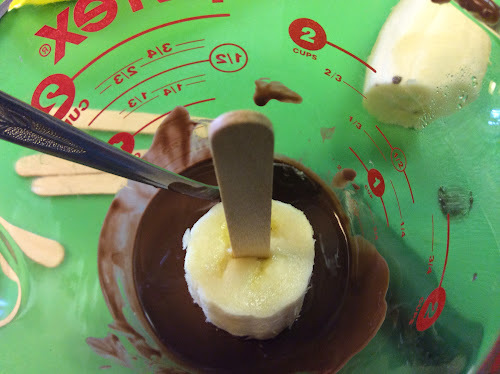 Your kids are gonna love these, especially if they get to help by adding their own toppings! Keeping it homemade . . . Over at Julie's!!! 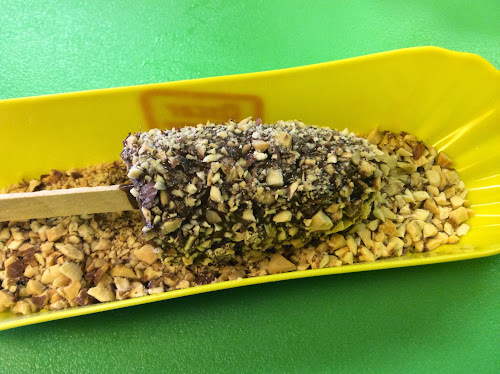 Please send me photos of your Frozen Banana Treat creations!